WILSON - Mildred Tedder Murphy, 93, died peacefully on Sunday, August 26, 2018 at Avante Nursing Home surrounded by family members. Funeral, Wednesday, 3:00 PM, Winstead United Methodist Church. The visitation will be at the church one hour prior to the funeral. Interment, Maplewood Cemetery. Mrs. Murphy was a loving mother, grandmother and great-grandmother. She was a nurse at Avante Nursing Home for 17 years and loved caring for her patients. Mrs. Murphy loved nursing, gardening and family. 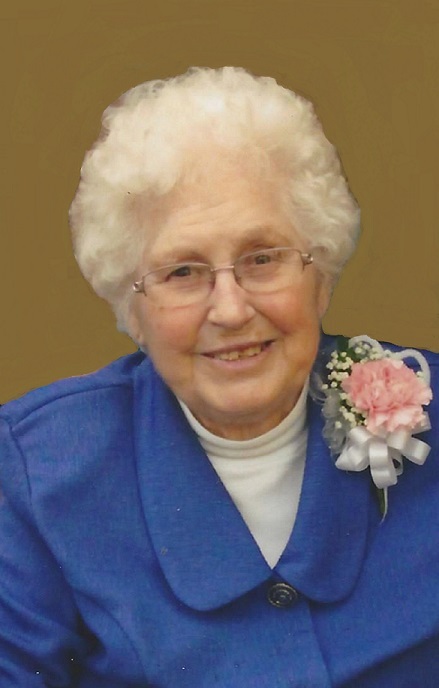 She was a faithful member of her church and served in many leadership roles and had perfect attendance for many years. Mrs. Murphy was preceded in death by her son, Douglas E. Murphy, Jr. and sisters, Rachel Duke, Geraldine Scott, Ethel Shephard and Geneva Godwin. In lieu of flowers memorials may be made to Winstead United Methodist Church, 1407 Tarboro St SW, Wilson, NC 27893-3557.